The Esan people, or Ishan people (Esan: Ẹbhọ Esan) are an ethnic group in Southwestern Nigeria, mainly in what is now the Edo Central Senatorial District, in Edo State. The Esan people live primarily in Esanland, a modern term for the 35 kingdoms or clans making up the Esan people: Irrua, Ekpoma, Uromi, Ubiaja, Egoro, Ekpon, Ewohimi, Emu, Ewatto, Ewossa, Amalu, Igueben, Idoa, Illushi, Ifeku, Iyenlen, Iruekpen, Ohordua, Okhuesan, Oria, Onogholo, Orowa, Opoji, Ogwa, Okalo, Ebelle, Ewu, Ugboha, Uroh, Uzea, Udo, Urohi, Ojiogba, Ugun, Ugbegun, and Ukhun. Each kingdom is led by a hereditary ruler, or an onogie. Esanland is situated just north of the Niger Delta and about sixty-five kilometers north-east of the state capital, Benin City. Esanland is also west of the Niger River. While traditional, oral accounts from both Esanland and the Benin Empire point to a mass exodus of people, recent arcaheological evidence points to a pre-Esan, pre-Edo kingdom in the savannah-forest, in present day northern Esanland. This empire likely existed from 500 A.D. to 1000 A.D. The modern Esan nation came to be during the 15th century, when citizens left the neighbouring Benin Empire and formed communities and kingdoms [called eguares. These kingdoms were subjugated in the 20th century to the British Empire, only gaining independence in 1960 when Nigeria became independent. Although the Esans were ethnically homogeneous, there is no attitude for secession, save for a short-lived Republic of Benin instituted by Biafra during the Nigerian Civil War. It is estimated that the Esan people number about half-a million to 700,000 citizens in Esanland, not counting the Esan diaspora collected in the slave trade, the number of Esan citizens in other parts of Nigeria, and the number of Esan people moved to the United Kingdom, the United States, Canada, Ireland, Italy, and South Africa and other parts of Europe. The Esan traditionally farm yams, palm-trees, meat, and vegetables, hunt, fish, trade cotton, and other materials, and serve in the army of the Benin Empire. The Esans primarily speak the Esan language, an Edoid language related to the Urhobo, the Edo, and the Etsako. It is believed by many historians that the name 'Esan' (originally, 'E san fia') owes its origin to Bini (meaning, 'they have fled' or 'they jumped away'). 'Ishan' is an Anglicized form of 'Esan', the result of colonial Britain's inability to properly pronounce the name of this ethnic group. 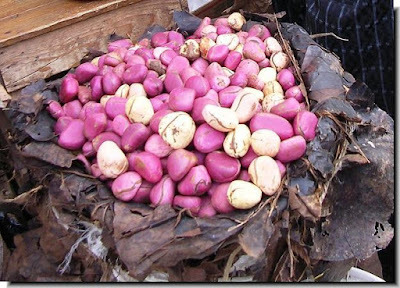 It is believed that similar corruption has affected such Esan names as ubhẹkhẹ (now 'obeche' tree), uloko (now 'iroko' tree), Abhuluimẹn (now 'Aburime'), etc. Efforts have however been made to return to status quo ante. 4. Something of, related to, or having Esan origin e.g. uro Esan (=Esan language), otọ Esan (=Esan land), ọghẹdẹ Esan (=Esan banana). Esanland is bordered on the West by Ondo/Ekiti States. It is bordered on the East by Lower Niger River. Esanland & HistoryA total of thirty four kingdoms (large villages/townships ruled traditionally by monarchs) make up Esan and many of them seem to have their own oral versions of the origin of Esan as well as its own starting point in history. One of the most popular of these is the one advocated by the group much of which constitutes the now defunct Agbazilo, one of the two former local government administrative units in Esan. According to the Agbazilo group, made up mainly of Uromi and Uzea, Esan came into being when one of the children of Bini’s Queen Oakha and Ojiso Owodo, Prince Uzia Asokpodudu (Ojiso Owodo’s crown prince and heir apparent) founded Uzea in about 1188 AD after they fled their father's (the Ojiso's) palace following the death sentence passed on their mother, Queen Oakha, who was alleged to have committed adultery with a Bini chief, Ovior. The duo of Ozogbo and Oigi, Asokpodudu's younger brothers, escaped along with him and the mother. It is believed that not only did Prince Asokpodudu (the founder of Uzea Kingdom) escape with the mother, Oakha, relations and some palace servants, he also left with his father’s (the king's) royal trident, ‘Uziziẹnghain’, the Ojiso’s heir loom. The Uziziẹnghain used to be the royal regalia with which the Ojiso dynasty was founded. Ozogbo later left Asokpodudu in his base in what is today known as Uzea to found Ẹgbele in present-day Uromi while Oigi went and establish a settlement with his mother, Oakha, which is today known as Ẹkperi (outside Esan land). 'Ikhio' is an annual feast celebrated in Uzea in remembrance of Oakha. While Queen Oakha and her children fled northward of Bini, Chief Ovior, her alleged lover, fled eastward to a settlement he established, which is today known as Obior (probably a corruption of 'Ovior'), near Asaba, Delta State capital. This is believed by some to be the very beginning of Esan, though the Irrua group may not readily accede to this historical contention. The very name 'Esan' was not applied to this people until the arrival of other emigrants from Bini, who fled Oba Ewuare's brutal reign. The Oba (Bini monarch) had decreed: "No making of fire to cook; no cleaning of homes; no procreation; no washing of clothes." Unable to abide by these rules, many natives fled the Bini Kingdom. When the king sought to know where many of his subjects had gone, he was told, "Esan fua" ("They have fled"), thus giving rise to 'E-san-fua' and later 'Esan'. In other words, the name Esan was never borne by the earlier group until the arrival of the later groups. Other groups, such as Ekpoma, left Bini later to establish bases where they occupy presently. 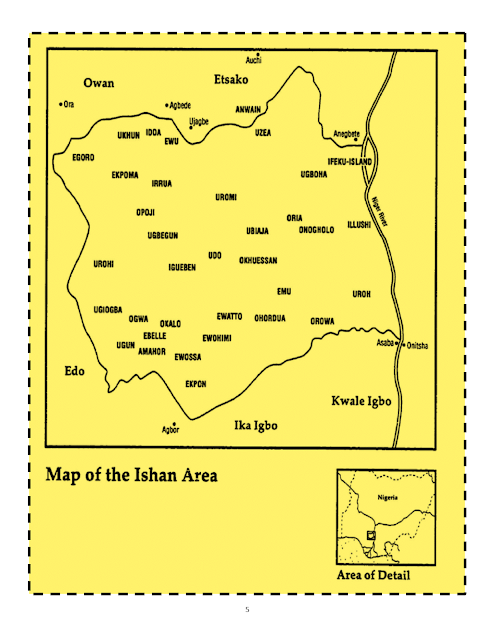 Except some historical contention to the effect that Esan has always been where they are presently, or that Bini in fact migrated from Esan to its present abode, Esan in this sense is a group/tribe of 'fled/jumped away' people from Bini for various reasons and at different periods in history. Esan largely remains a migrants' settlement just like the New World. This position has made some historians to argue that the Agbazilo group, Uromi and Uzea, are a pre-Esan group which has decided to coexist under the same banner of Esan. It was within this same group, in Uzea, that Oba Ozolua met his waterloo and was buried in Ugboha's Otokhimhin, originally called 'Oto-ukhimhin' (the land of Ukhimhin tree). This is the origin of the popular saying among Esan that "Oba ii de Esan, Ozolua ii ri Edo" meaning, "A Benin monarch does not visit Esan just as King Ozolua (of Benin) will not return to Benin." The traditional agogo bell. The agogo is a very important instrument in Esanland. It is used to help keep of the rhythm of the region's various dances, and the translation of hour in Esan is agogo. and the translation of hour in Esan is agogo. Esan land is bordered to the south by Benin City, to the south-east by Agbor, to the north and east by Etsako, to the west by River Niger. From Ewu to Benin City, the State capital, is 100 km long. No accurate demographic data of the people is available and the various local governments in Esan appear to lack reliable information in this direction. The people populate areas such as Uromi, Ewohimi, Ewatto, Igueben, Irrua, Ubiaja, Ogwa, Ebele, Ekpoma, Ohordua and Ewu in central Edo State, South-South Nigeria. It has a flat landscape, lacking in rocks and mountains, and good for agricultural purpose. Geographically, Esanland is on a plateau, surrounded by slopes down to the lower Niger River, the valley and wetland towards Etsako, the Kukuruku Hills and the plain around Benin City the state capital. The tableland though reddish-brown in colour, is a fertile land for farming, which is the main occupation of the Esan people. There is a dense thick forest, nutritionally rich in economic crops and herbal plants. However, it is suffering from bush burning, and wood felling for timber and as a major source of fuel (which is in high demand) for the increasing population of the Esan people. Rubber tree (used for the production of plastic products) and palm tree rank highest among Esan trees. The land's variety of fruits range from mango, orange(ate), grape, pineapple (edinenbo), guava, cashew, banana (oghede), plantain, black pear, avocado pear, lime to walnut and even more. Cassava, yam, cocoa yam, sweet potato, pepper, okra and rice are some of its farm produce. It has numerous streams that are too small to afford fishing. Beyond all of the agricultural products listed above are numerous edible fruits and plants without English name. Oruru, for example, seems to belong to the berry family. Purple or violet in colour as the specie maybe, is a very delicious fruit, common at the beginning of the dry season, which formerly comes up in late September/October yearly, But due to climate change, these month are no longer guaranteed. A lot more research work is needed in the areas of available fruits and plants, animals, insects, birds, etc. in Esanland. The various Esan dialects are mutually intelligible. Irrua dialect, also spoken in Ewu, is used in education. Esan folktales and folklore, like the igbabonẹlimhin and akhuẹ, serve as forms of learning and entertainment. 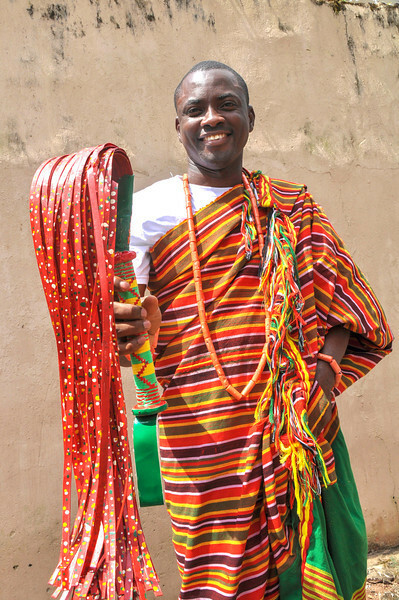 The Esan have prominent traditional rulers who keep order in a society where beauty and manners are intertwined. Despite the long-term impact of Christianity, the Esan are largely traditional and a large number practice traditional beliefs in the form of worship of ancestral spirits and other gods. A large percentage of Esan are Christians, mostly Catholic and recently of other denominations. Esan has various dialects all of which stem from Bini and there is still close affinity between the Esan and the Bini, which leads to the common saying "Esan ii gbi Ẹdo" meaning, Esan does not harm the Ẹdo (i.e. Bini). · Osanobua, the main Edo-Esan god. This name for God was brought over to Christianity and its missionaries, and thus the translation for God in Esanland is Osanobua. · Eshu, the Esan trickster god. This god is shared with Yoruba and Edo myth. The name Eshu was used as a translation for Satan by Christian missionaries. · Osun, the Esan god of medicine. This is where the surname Olokun, or son of medicine, originated from. 2. Esan Central LGA, Irrua: Irrua, Ugbegun, Okpoji, Idoa, Ewu. 3. Esan West LGA, Ekpoma: Ekpoma, Iruekpen, Ogwa, Urohi, Ukhun, Egoro. 4. Esan South East LGA, Ubiaja: Ubiaja, Ewohimi, Emulu, Ohordua, Ẹwatto, Okhuesan, Orowa, Ugboha, Oria, lllushi, Onogholo. 5. Igueben LGA, Igueben: Igueben, Ebele, Amaho, Ẹwosa, Udo, Ekpon, Ujorgba, Ugun, Okalo.